I wasn’t sure what I was going to post today until I came across this blog: Cake Wrecks – When professional cakes go horribly, hilariously wrong. 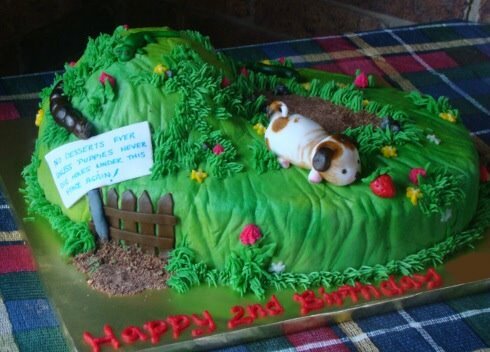 If the spelling, grammar, and other word-related mistakes don’t crack you up like they do me, at least take a look at this post (from my birthday, coincidentally) full of cakes that look like books or scenes from books! Have you ever had a bookish cake? Which of these would be the best choice for you, as a kid or now? I love Cake Wrecks and that was a great Sunday Sweets post. I loved all of the cakes, but particularly the one of The Very Hungry Caterpillar, since that’s how we’re decorating our baby’s room.